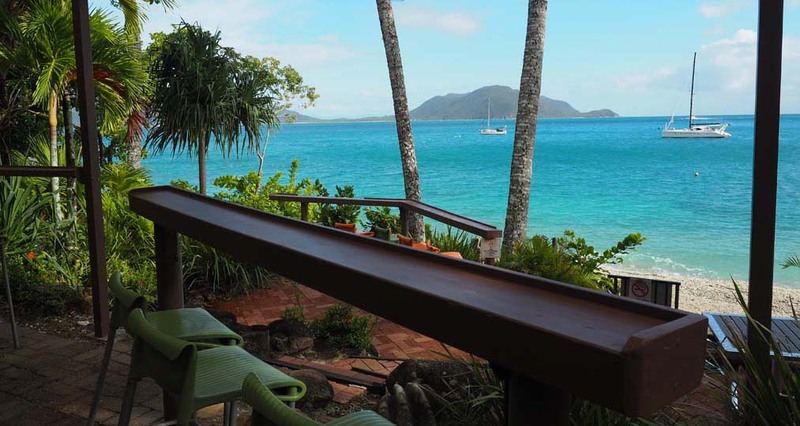 Home Queensland Tropical North Queensland Is Fitzroy Island Queenslands most relaxed island resort? I’m on the top deck when the boat starts to roll over larger than expected waves, the Queensland coast becomes shrouded in mist and finally the low clouds above us dump fat rain drops all over the boat. And I can’t stop grinning from ear to ear. Its still warm, I’ve escaped the clutches of a long and cold Victorian winter for just three short days and i’m bound for Fitzroy Island. The normal people on the boat have long since dived for cover and just me and a few others who embrace the spray of the ocean and the pouring rain. Still, I was hoping for sunshine and as the island comes into view and we pull into dock, the clouds part cartoon style and blue sky, puffy white clouds and bright sunshine greets us on arrival! Hello Fitzroy Island! Nothing says holidays quite like a palm tree! Its not just the sun that meets the boat but smiling resort staff who welcome guests to check in and direct day trippers to their purpose built area with a bar, change rooms and lockers. If you arrive on a resort owned boat you are also provided with handy walking maps and additional information about the Island. 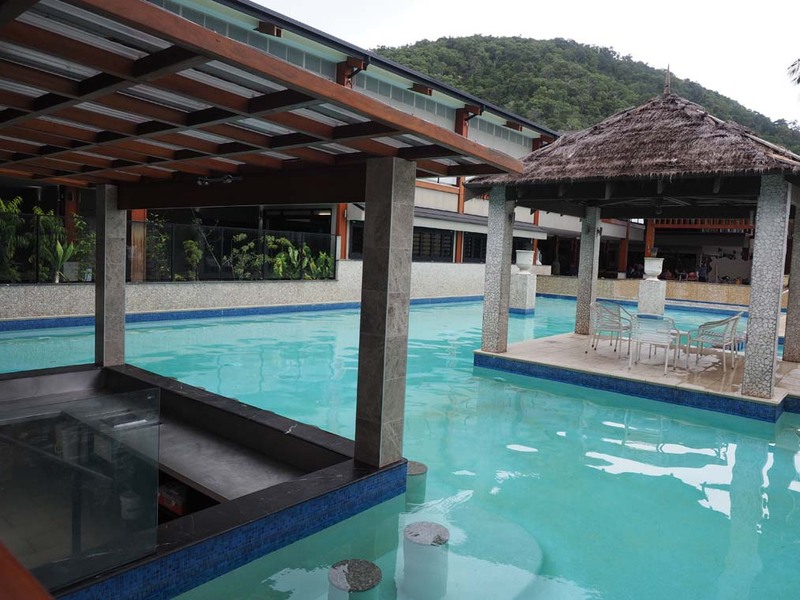 If you have booked into the hotel you will be pleased to know the the resort is maintained exclusively for the use of overnight guests which means the restaurant and pool facilities are never too busy. 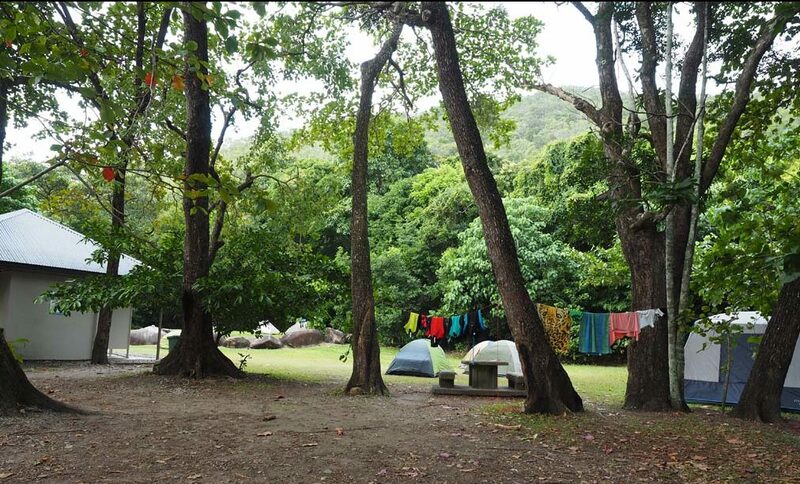 And if you want an Island experience at budget prices there is even a small campground just steps from the Fitzroy Island beach! 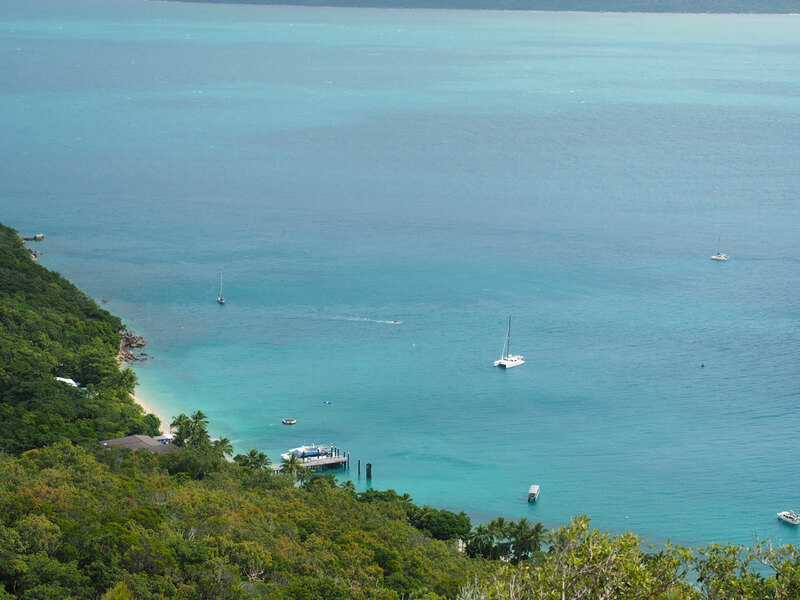 Camping on Fitzroy Island Resort is a great way to experience island life on a budget. Hire gear from the day Beach Hire hut or from the resort hire shop. 3.Explore the fringing reef by snorkel just metres from the shore! 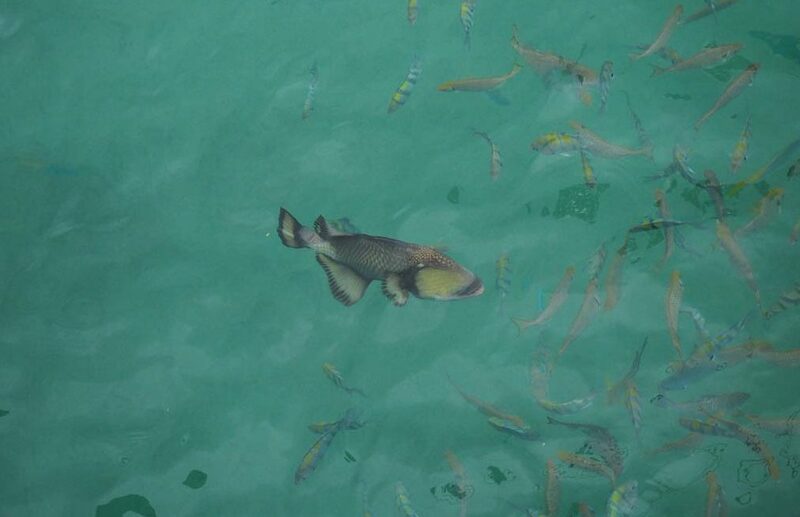 Spot brightly coloured fish, giant clams and if your lucky a turtle or two. 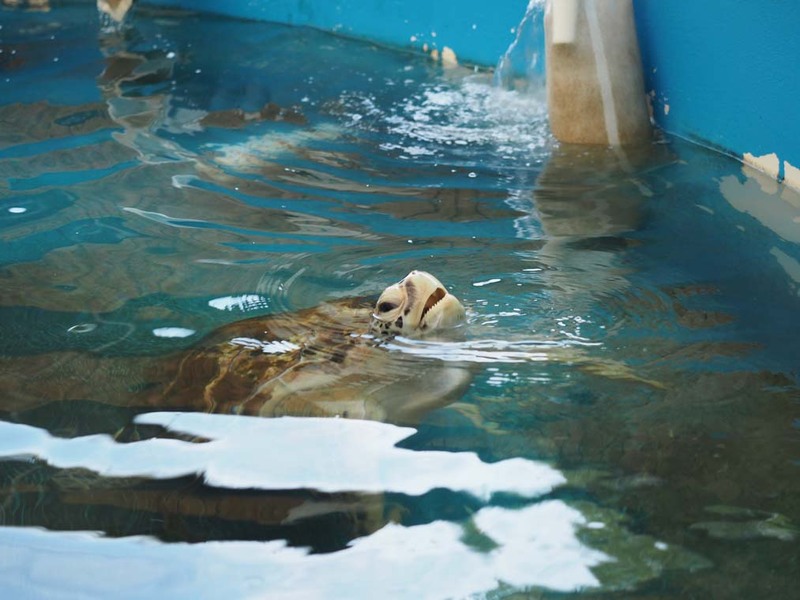 Check out the jetty fish feed first to learn many of the different species of fish you will see! 4. 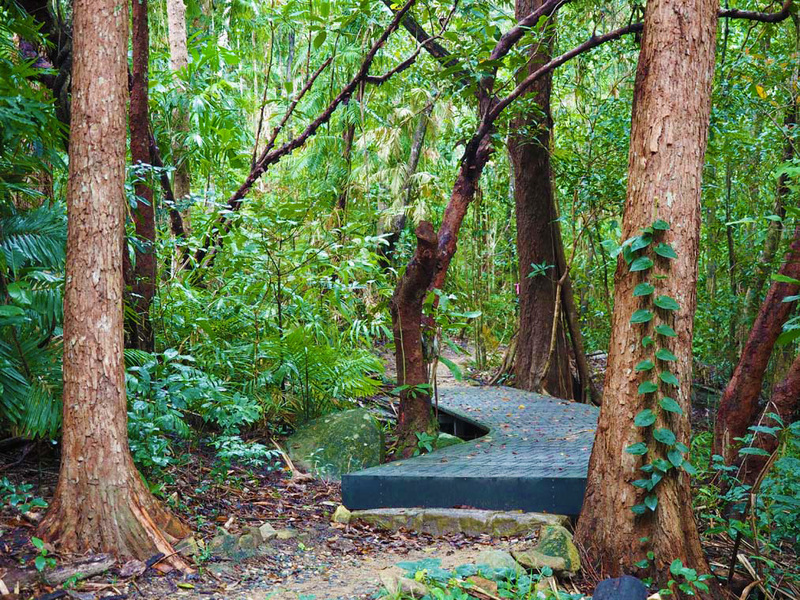 Go on a bushwalk up through the rainforest until you emerge at the Fitzroy Island Summit for a birds eye view of the resort, surrounding islands and the Queensland coast. Alternatively do the easier hike to the beautiful Nudey Beach. 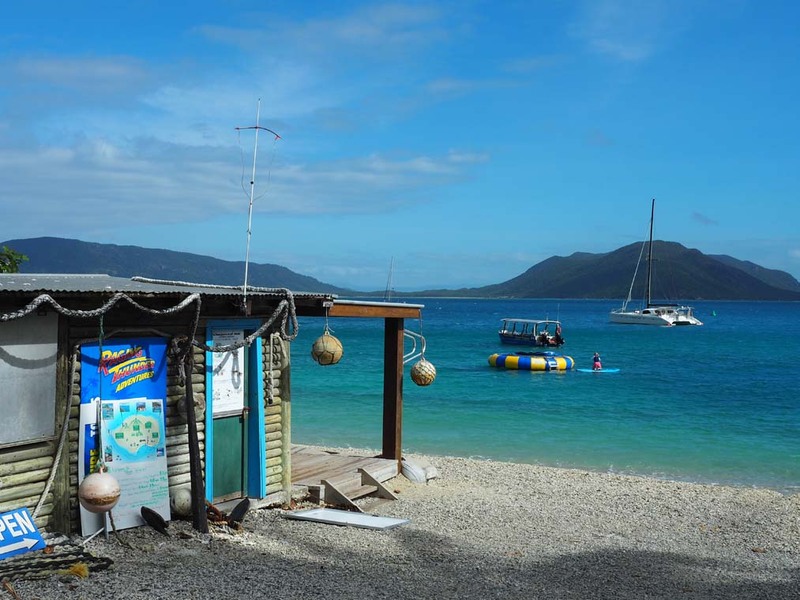 Is Fitzroy Island worth it? Absolutely. After 3 days of good friends, cocktails with the best bar view I’ve ever seen, beach snorkelling and rainforest walks, I climb back on the boat still smiling. It may not have been perfect weather the whole time, but it was the perfect holiday. 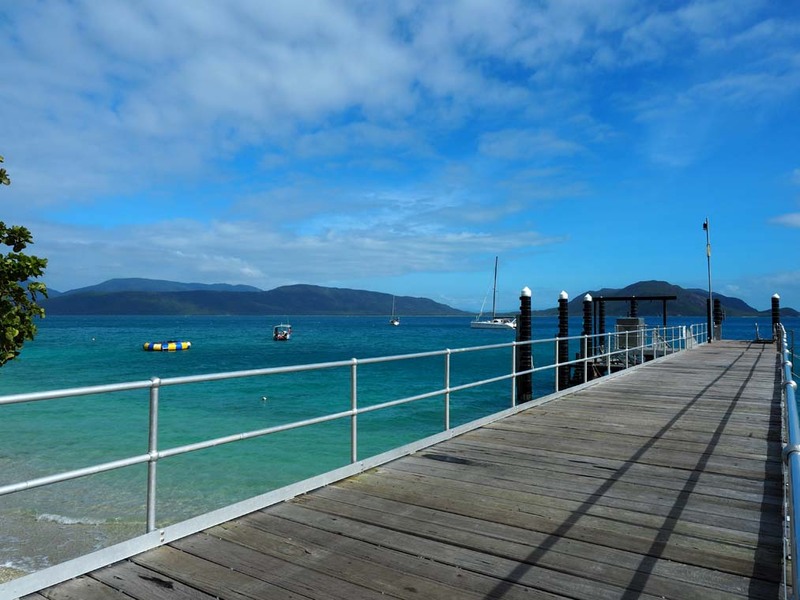 The only thing sad about Fitzroy Island was leaving! 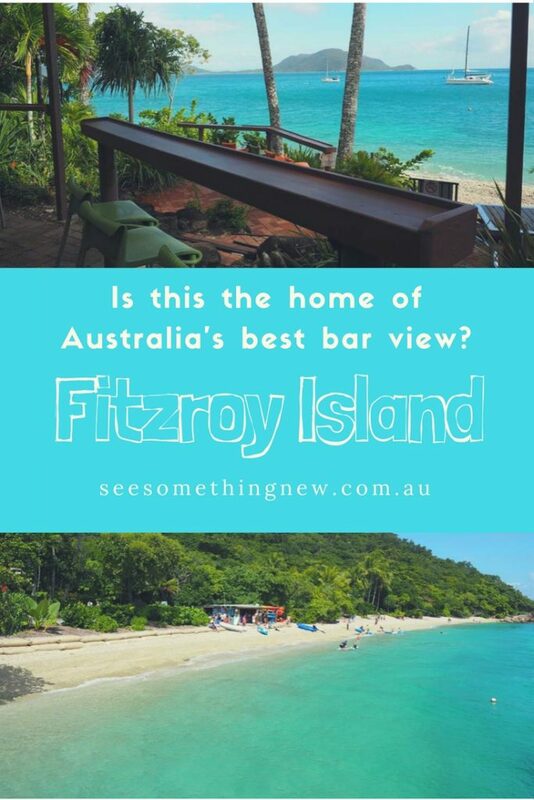 Ask anyone if they’ve dreamed of visiting Fitzroy Island and you will most likely get a blank face. It’s certainly not Queenslands most famous Island, with the Cairns islands often overshadowed by the reputation of their more famous Whitsunday cousins. 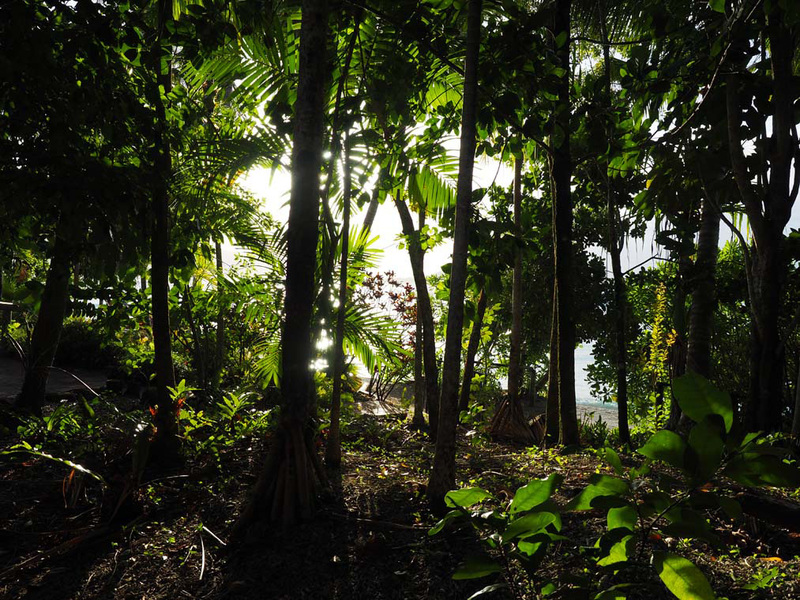 However for those that do know the Island, including cairns area locals, they’re happy to keep it that way. Because for now Fitzroy remains an unpretentious hideaway offering all the benefits of the big guns (swim up bar, reef trips & non-motorised watersports) without the people or the price tag. 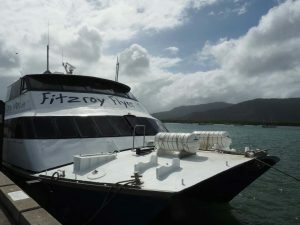 A 45 minute ferry ride from the centrally located Reef Fleet terminal in cairns will have you pulling in to the short jetty adjacent to Fitzroy Islands palm tree clad coral beach. Fly to Cairns on a direct flight from most major cities and you will need to book a ferry transfer to the Island through the resort. Make sure you have plenty of time on arrival to make your ferry and on departure to make your flights. A good idea is to book a night in Cairns either side of your stay to make certain you can meet your ferry or flight on time. 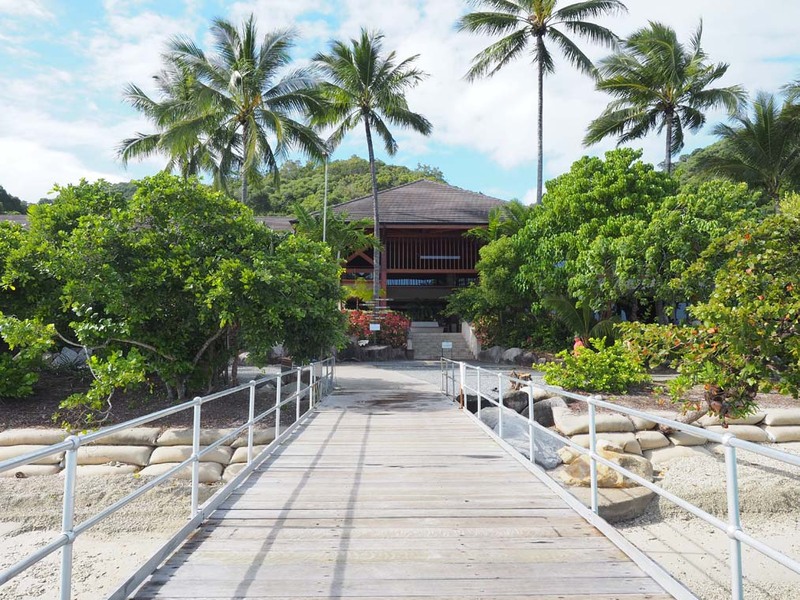 Fitzroy Island Resort is the only accommodation on the Island but they have a range of accommodation options including camping. 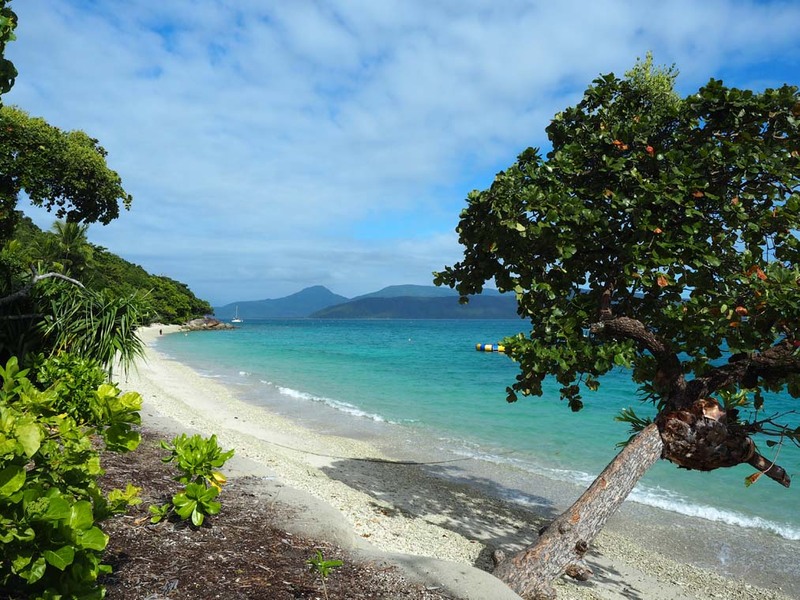 Day trippers are welcome to visit the Island so you can still explore Fitzroy Island if you already have accommodation on the mainland. 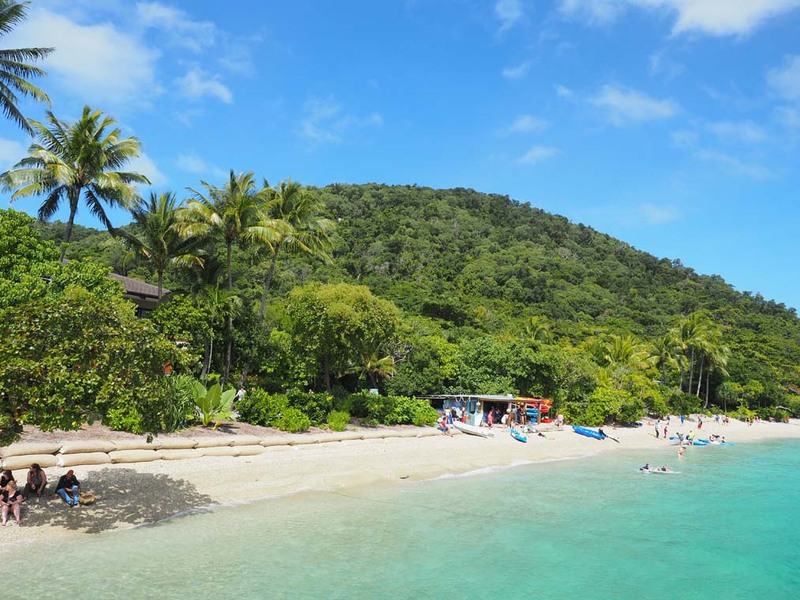 The Fitzroy island beach is naturally made from Coral, so don’t go expecting sand between your toes. The fringing reef is lovely with lots of fish and other wildlife to see, but your will still find the most pristine snorkelling out on a reef trip. Previous articleDomestic business class in Australia – is it worth it?